About Manali Adventure Camp ( Above 9000 Feet from Sea Level ) We have developed a 10 days Manali Adventure Camp in true Himalayan style that offers additional emphasis on outdoor teaching techniques. 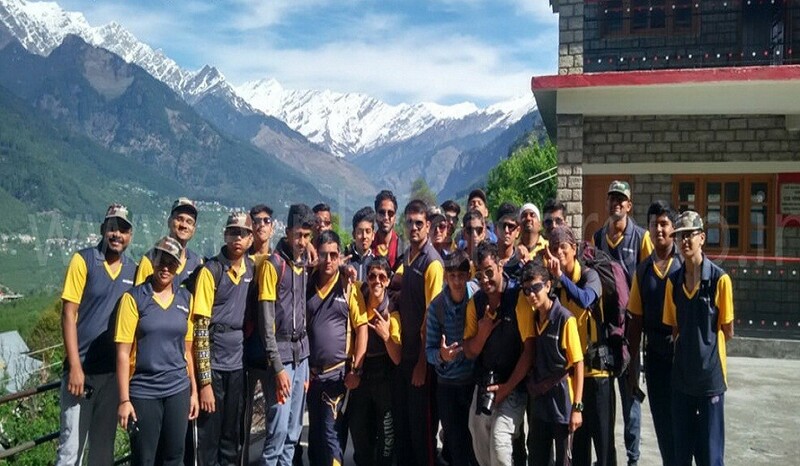 Manali Adventure Camp is designed to develop outdoor skills and leadership. 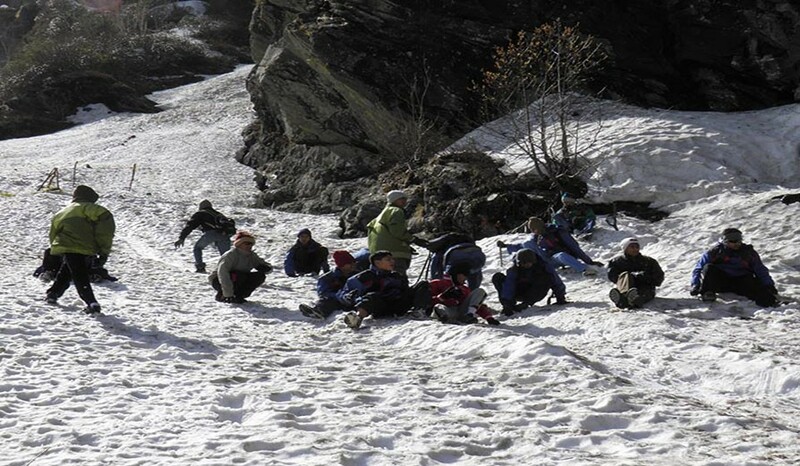 Manali adventure camp is ideal for the beginners. Manali Adventure Camp includes activities like Trekking, Camping, Rope skills, Basics of Rock climbing, River Crossing, Outdoor Survival skills, White water Rafting, Cooking & of course play a lot with snow at Snow Point…. Manali Campsite is surrounded by beautiful silver fir forest. Manali Adventure Camp will give you an Experience that will enchant you, enthrall you, and captivate you forever!!!! Reach Delhi Rohila Station at 12.15 pm. After Lunch depart for Manali by Semi Sleeper Volvo around 4 pm. Arrive at Manali Bus Stand around 9 am. Onward Journey for just 3 kms by Local Sumo. On arrival at manali base camp tents will be allotted. After Refreshment Introduction, Group Games & Group discussion. The day begins at 6 am with a warm up session and move to Mountain Base Camp either Thorku Dugh (2230m.) or Bhanara Hills (2170m) a meadow amidst of the silver fir forest. Trail ascends through forest till Mountain Base camp, which is one and half hours trek. Tent Allocation, Breakfast Introduction of various Rock climbing gears & equipments followed by a practical session on the rocks. Participants will learn various kinds of knots and various climbing techniques & drills. The day begins at 6 am the participants will go through a warm up session. After having breakfast Adventure activities like Rappelling, River Crossing etc. During the Adventure activities our Team will focus on Fear and Risk Management issues followed by a group discussion on the same. The next day the group goes on a high altitude trek to Tilgan (2470M). The group will be introduced to the agriculture tourism & mountaineering skills and back to campsite. Field cooking under the guidance of instructors. In the morning return trek back to the Base camp and settle into the tents. The participants immediately will be driven by Sumo down to Rafting point at Kullu. Evening roam around the market. A complete group will be driven by Sumo early in the morning to either Snow Point or local sight seen. Return to Manali in noon. Departure for Delhi by 4 pm. Arrival at Delhi around 7.30 am. Delhi Bus Point to Railway station by Local Car. Board Train 12215 Garibrath Express 3 AC for Bandra Terminus by 9.20 am. Arrival at Bandra Terminus at 8.10 am. Proceed to Pune by Private Bus. Reach Pune around 2 pm. Relax at home with everlasting Memories of Manali Adventure Camp. Hair Oil, Cold Cream, Lip guard, Comb, Suncream Lotion, Perfume / Deodorant. Water bottle – Min. 2 Ltr., Torch with extra Cells, Id Proof (compulsory), Nail cutter, Safety pin, Chain & lock for luggage security in Rail Journey. This is just a reminder list of what to Bring for Manali Adventure Camp. You can bring other things as per the Need. 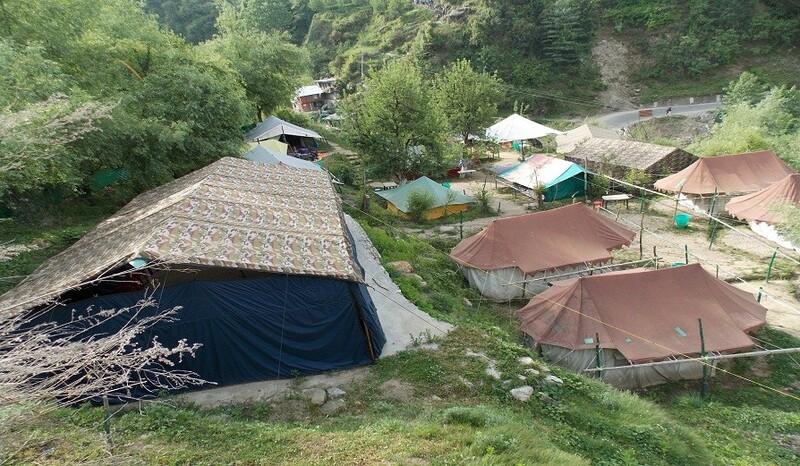 Accommodation in tents at Manali (Shuru) and at the higher campsite on multiple sharing. One White Water Rafting session on Beas River. Visit Snow Point or Sight-seen.